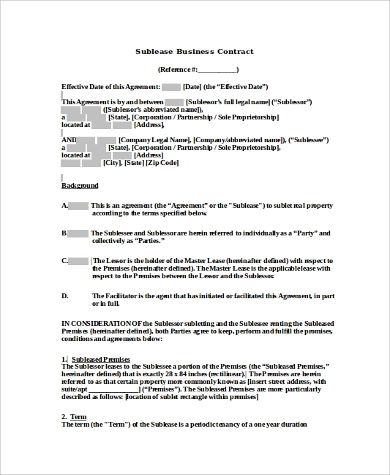 A sublease contract, as wikiHow would define it, is when a tenant of a certain property would want to give the rights of his or her property under the lease to another party. This kind of situation would need and require a sublease. 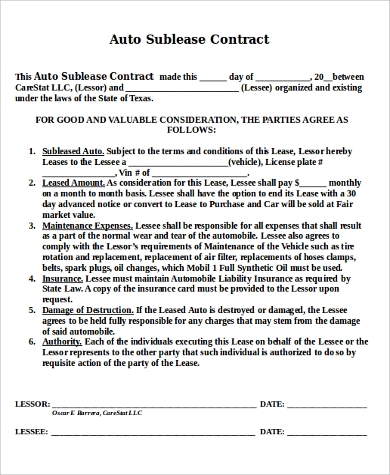 However, a sublease contract can be only applied to a commercial and residential party. It is essential and highly necessary for both tenant or the buyer and the landowner of the property to ensure protection and security measure in case of emergencies since the nature of the sublease contract is bonded by law and legalities. 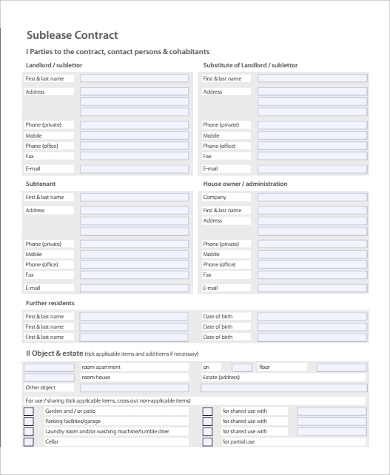 Moreover, consider checking out these Sample Contracts for more valuable information. 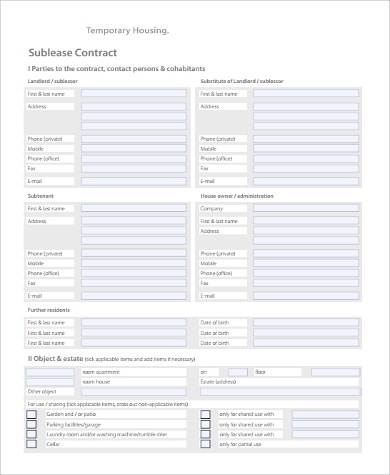 If you want to learn more on how to prepare and create and make a sublease contract, you can definitely check out these steps and tips. 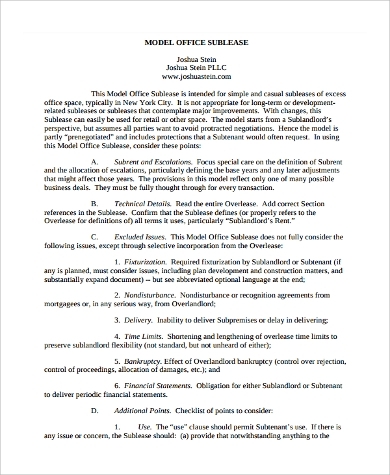 Also, consider yourself checking out these examples of Commercial Sublease Agreements that you can find on this page, which you might find useful and helpful. 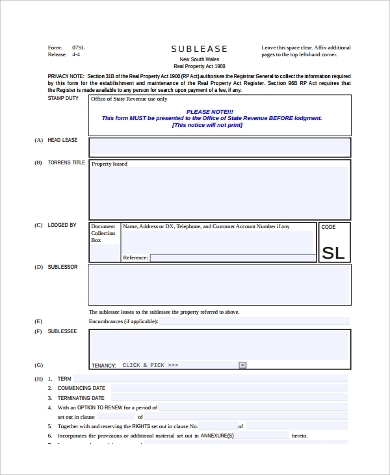 First, you should be able to determine and know if you are allowed to sublease. Most often than not, you would have to check and coordinate with your landowner or your landlord if you can sublease or not. Also, take note that your landlord or your landowner always has the right to allow or refuse a sublease or your request to do so. Other than that, always keep in mind that you should not sublease without your landlord or your landowner’s consent and permission. It might end with legal consequences if you do so. 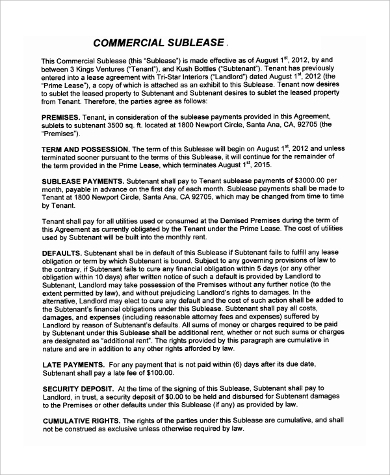 Details and information of the subtenant’s reliability is crucial. 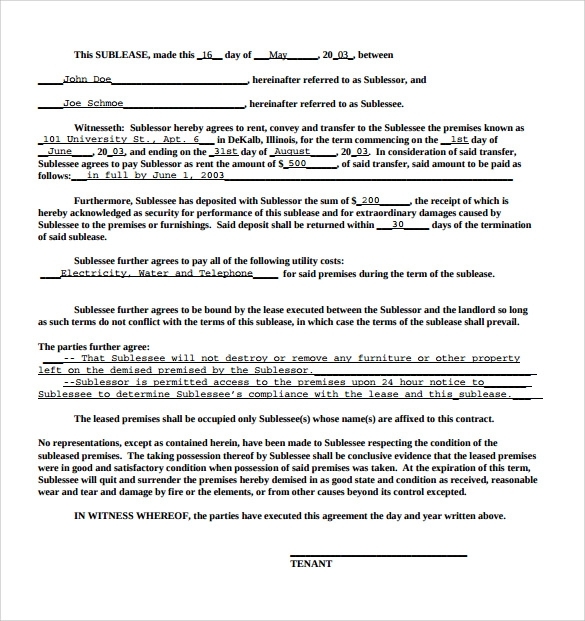 It is also helpful to show reliability and credibility to your landlord or landowner so that he or she will consider you a reliable person, which could be probably enough to grant your request of the sublease. Asking a credit report or a recommendation from a previous landlord or landowner is also useful. You, as a tenant, are responsible for the leased property. 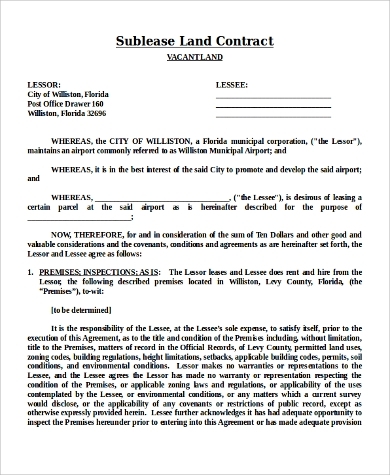 As the tenant, you are most likely responsible for following all of the terms and conditions of the agreed contract of your lease that you have had with your landowner. According to wikiHow, you are also the one who is responsible if any violation occurs from your subtenant. On handling security deposits. It may be optional but it is somehow necessary to require a deposit payment or a down payment from your subtenant. In any cases or scenarios that there would be any damage that would happen to the property, you will be held responsible. With regards to rental payments. 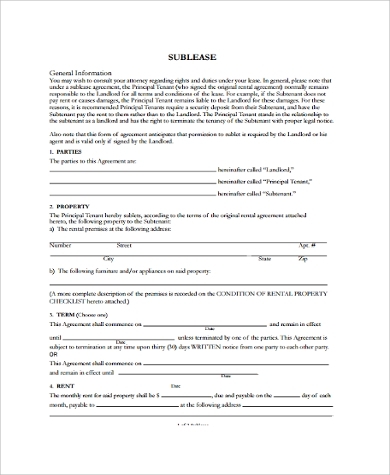 It is also necessary and highly important that both of the landowner or the landlord and the tenant would discuss on the details in terms of the rent payments and agree on some term and conditions before actually signing on the sublease contract, which is bounded by the law. 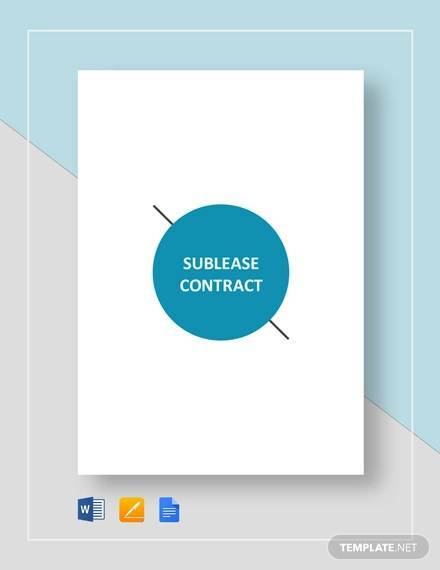 Aside from that, you should also consider checking out some Sample Sublease Agreements in which you might find useful and helpful in terms of the sublease contract that you may have with your tenant or landowner.